At G.R.I. we are committed to finding the BEST possible home for each and every Greyhound we come in contact with. We place dogs in “forever homes” based on matching the personalities of the dogs and their prospective families. Just because you see a darling face on this page, that does not necessarily mean that the is the best dog for you and your lifestyle. Please be understanding if we direct you towards a dog other than the one you initially liked based on the pictures here. At any given time, Greyhound Rescue of Idaho has access to literally dozens of adoptable ex-racers. G.R.I. maintains an extensive (and costly) Sanctuary Sponsor program which supports the day-to-day expenses of about a dozen ex-racers with special needs. We encourage every interested person/family to consider how they might help our Sanctuary Sponsorship Program, should outright adoption not be an option at this time. At G.R.I. we believe that the key to a happy adoption story lies in the education of the family FIRST. To assist in your education, we encourage you to contact us and to join us at our weekly adoption and information booths. Have been spayed or neutered, their teeth have been cleaned. They have been checked for heart worm and have received their vaccinations including Rabies and Bordatella. Each greyhound has been looked at by a Veterinarian. 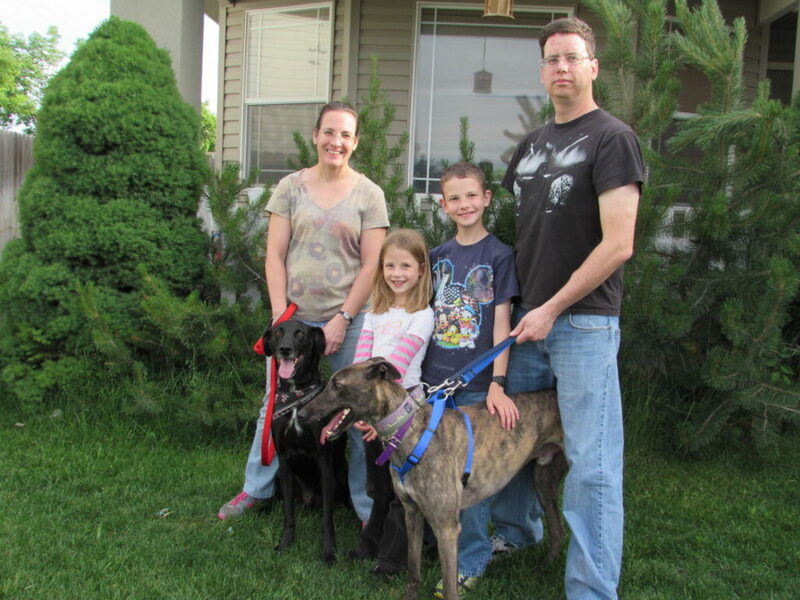 Upon arrival into GRI’s care, each greyhound receives a collar and GRI identification tags. This collar and tag goes with the greyhound into his/her new home. GRI also issues a copy of our Adoption Handbook to all adoptive parent(s). We insist that new parent(s) read this pamphlet. There is always something to learn about greyhounds and this booklet has proven invaluable to new and veteran greyhound parent(s). 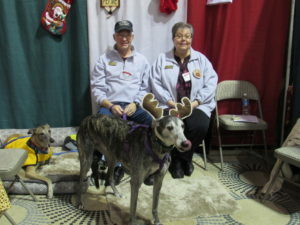 Greyhound Rescue of Idaho has the possibility to get greyhounds to our area every few months, so it is very important for you to get an application form filled out and sent to us as soon as you are interested! The application does not tie you into adopting but gives you and GRI the opportunity to get to know each other and sit down and talk to see if a greyhound would truly be the right fit for you! We are now ONLY bringing in greyhounds for those folks who have filled out applications, are approved and are ready to adopt a greyhound into their homes….so if you are truly interested in adopting, please fill out an application form and contact us. For more information, please watch our Facebook page! We are regularly at local pet stores introducing our wonderful greyhounds to interested adopters! GRI is not only an adoption organization, we are an education and support organization devoted to the greyhound.